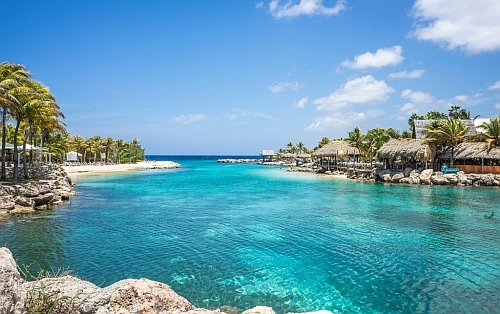 WestJet is showing one flight from Calgary to the beautiful Dutch Caribbean island of Curacao for $464 CAD roundtrip including taxes. Flights from Western Canada to Curacao are always very expensive, and usually have very long travel times. 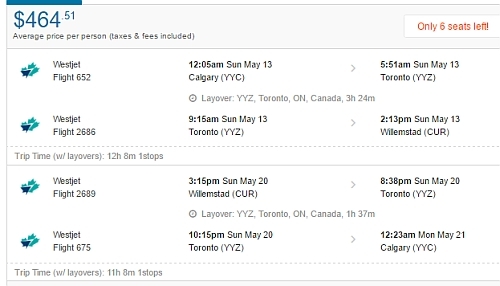 In this case, the flight from Calgary to Curacao is both cheap and fast - which is very rare. There is a stop in Toronto each way - for 90 minutes to 3.5 hours. However, it's also in May. Curacao is *very* far south in the Caribbean, right above South America. Are there any good deals on a place to stay on Curacao? calgary, yyc, flight deals, caribbean, southern caribbean, willemstad, curacao, cur, leeward antilles and netherlands antilles.